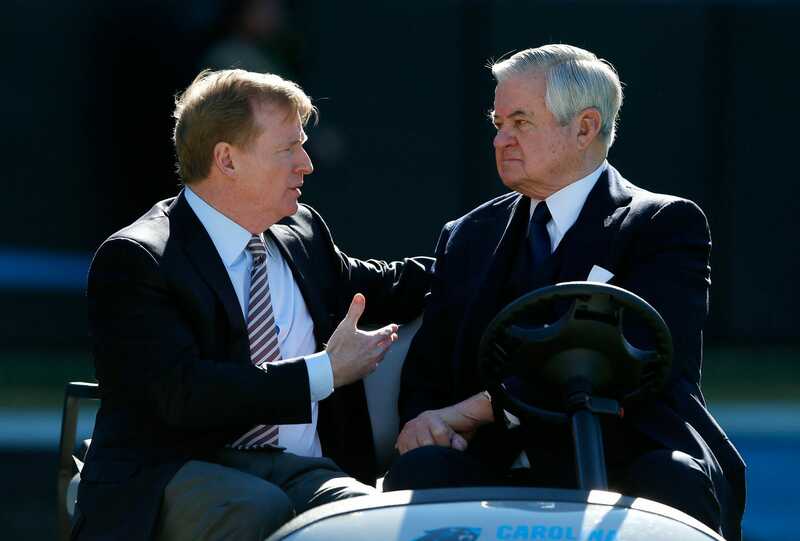 Kevin C. Cox/Getty ImagesNFL commissioner Roger Goodell and Carolina Panthers owner Jerry Richardson. 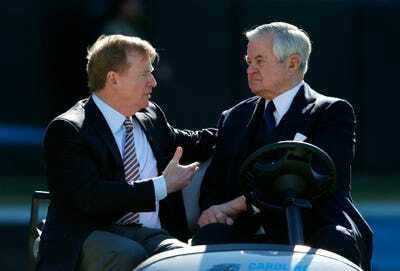 The Carolina Panthers released a statement saying “allegations of workplace misconduct” have been made against owner Jerry Richardson. The investigation is being conducted by an independent law firm, but is being led by one of the team’s minority owners. The Carolina Panthers released a statement on Friday evening announcing that an investigation had been launched after “allegations of workplace misconduct” were made against owner Jerry Richardson. The team did not give any details about the allegations. The Panthers did raise eyebrows around the NFL world when the statement was released at the end of the workday on Friday and they announced that one of their own is leading the investigation. According to the team, the investigation is being conducted by an outside law firm, Quinn Emanuel Urquhart and Sullivan, LLP, and the investigation will be overseen by former White House Chief of Staff Erskine Bowles, who is also a minority owner of the team. At this point, it is not clear if the NFL will conduct their own investigation. NFL spokesman Brian McCarthy told the Associated Press that the league has no comment at this time. Here is the Panthers’ statement. Richardson is a former NFL player. He has been the controlling owner of the Panthers since the franchise was founded in 1993.